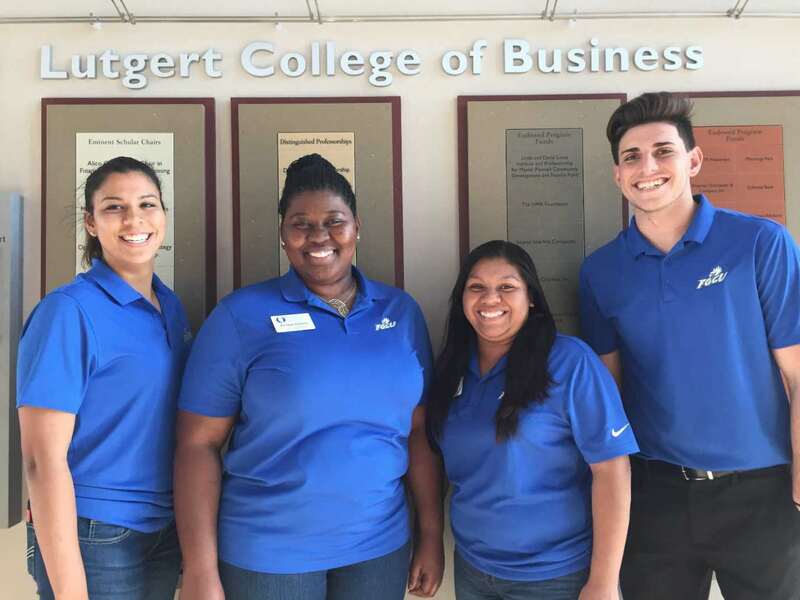 FORT MYERS, Fla. - March 28, 2017 - PRLog -- Students from the Florida Gulf Coast University's Lutgert College of Business Ethics Competition Team finished runner-up in their division at the Southeast Regional Business Ethics Case Competition held at Stetson University March 2 and 3. The students also tied for fourth place overall, winning a trophy and a cash prize. Participating students were Spencer Aleman, Kersees Charles, Austin Engle, and Cindy Orozco, led by faculty advisors Dr. Craig Randall and Dr. Eric Dent, Uncommon Friends Foundation's Endowed Chair Professor of Ethics. "Our students had a chance to take a real-life example of an ethical dilemma and work on solutions that challenged them," Dent said. "We are so proud of our students, as this was the first year they competed at this event." The students focused on a current case concerning the Dakota Access Pipeline, role playing as they made recommendations to the Army Corps of Engineers on whether to grant an easement to complete the pipeline. Students made recommendations taking the ethical, financial, and legal implications into consideration. Through the Uncommon Friends Foundation's endowment, Dr. Dent plans to offer a similar experience to high school students in Lee County later this year. The Uncommon Friends Foundation is a nonprofit organization established in 1993 and dedicated to lifelong character building among today's youth and business leaders. It promotes character education in schools, ethics in the workplace, and preservation of the historic Burroughs Home & Gardens and James Newton Archives. For more information, visit http://UncommonFriends.org or call (239) 337-9503.